It’s an interesting discussion. What drives a customer to a specific shop? Is it the individual store itself and the experience in it? 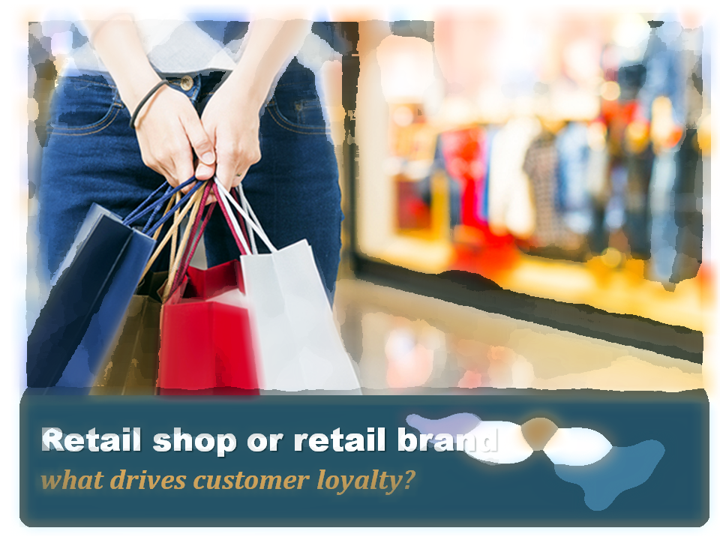 Or is it the wider retail brand and its portrayal to the customer? It’s particularly relevant because currently everything in retail is up for change. Loyalty is in the balance. So, lets take the individual store. The correct way to deliver this is to create an amazing experience for the customer. That experience can include many things. From the assortment, availability, store design, atmosphere, customer service, individual staff rapport, facilities, opening hours, events, promotions price or any other tangible part of the environment. Is this what drives customers to a store? Or is it the retail brand. Does the brand stand for the things the customer wants and believes in. Is the product desirable and unique, the image the coolest on most respected on the street? Is the record on sustainability and worker treatment the best? Is the brand endorsed by celebrities, eulogised by influences and liked by friends? Is this what drives customer to a store? The balance between the two is changing as I write. Only 12 months ago the brand was winning. Customers wanted to shop in multiple stores to catch the trends and be in line with everyone else. Crucially shopping centres and town centres wanted multiple brands to attract customer footfall. The story of Waterstones illustrates the dilemma. Waterstones the largest bookstore chain has started to open stores in smaller towns. Nothing unusual about that. Except that the stores are unbranded and apparently masquerade as independents. To be a brand is such an obstacle that the chain thinks the stores will perform better without. Many large brands have diversified their proposition. They modify the brand identity to match the assortment. Tesco for example has Express, Waitrose is Little, and Sainsbury is Local. However other examples of diversification use a different brand. Tesco owns One-Stop convenience stores. JD owns Millets & Blacks. And now Sports Direct owns House of Fraser, USC, Flannels and Evans cycles. Does the customer know. Do they care? Why does it matter? It matters because from the brand perspective many customers frequent retailers whose values they like and associate with. Increasingly customers now care whether the store is independent or not. Whether it is local or not? Whether money spent supports the town and the people in it? This is a fair question for retailers to be honest about. However, being national, multiple, local and independent should not be confused with being good. The origin of the store should not be confused with being friendly, welcoming, enjoyable, stocking the product you want, selling at the prices you want. Satisfying every need. Would a customer shop locally for a great experience but without the product they want? Would a customer shop a multiple for the product they want and accept a poor experience? Or vice versa. The first answer to the question is to offer the product the customer wants in an experience they like. Irrespective of their origin. If all shops were like this then the customer can select from a common excellence based on their wider values and preferences. However, we don’t live in this perfect retail world. So, whether a multiple or an independent, if you fail to deliver on product or experience, convenience or reputation, you will seriously test the loyalty of most customers. It’s a serious risk to bet only on the historic values and behaviour of your customer. Both independents and multiples have made that mistake over recent decades. The answer for me. Be excellent in everything you do. Give the customer exactly what they want. Be 100% true to your proposition. And be honest. With all those eggs in your basket its hard to see why a customer would want to shop anywhere else. You will not only enhance your own reputation as a store, but quite possibly change the wider perceptions of a sector, or a brand. Well, at least until the customer decides they want something else from their retailers. Yet again! Do you really understand what they want from you?